I know it is a bit early but I couldn't resist taking a glance at the Easter goodies in Tesco. At the minute the section is quite small, and I know it will grow over the coming weeks and the full size eggs will appear too, but there are still quite a few novelties already. 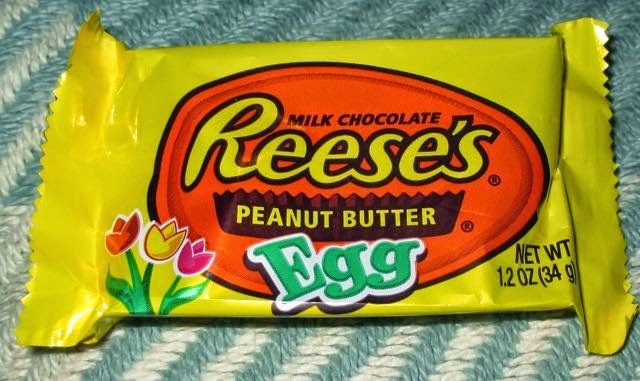 I've seen many of the items before, Creme Eggs, Lindt bunnies etc, but the Reese's Egg looked new, and not even from an import store. Now an egg to me is something that is properly three dimensional egg shaped, like the Creme Eggs; this on the other hand is more of a flat oval. Sadly it was a little bit damaged too. Although the pack does have some cardboard to protect it, it wasn’t enough and the top chocolate was cracked in several places. It wasn’t a one off, the other one I purchased (at the same time) was exactly the same. I can see why they didn’t attempt a genuine full egg shape, it would just end up being a squishy mess! It tasted good though, there was lots of peanut butter. The ratio to chocolate was high and the egg was quite thick in shape. The peanut butter was fairly smooth, and had that lovely slightly salty flavour that Reese’s always does. The chocolate added a nice sweetness to it, and I was licking my fingers by the end. 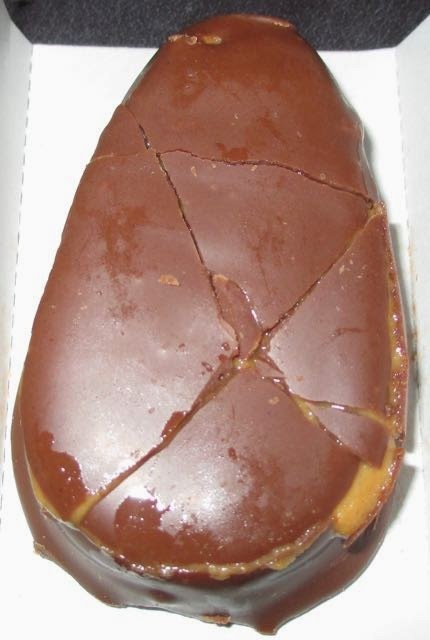 In some respects anything that combines chocolate and peanut butter is a good thing. I love the flavour combination and as such thought this was a lovely novelty. It is just a shame they were cracked the way they were, if it is a novelty gift for someone you really want it to look nice.